Thought I would share a few cake bakes I have made recently with you. The flower cake as you can see was for a 70th birthday celebration, made using a vanilla sponge cake filled with vanilla buttercream and strawberry jam. For the recipe I used my standard fairy cake recipe, only a four egg and eight ounce mixture for this large cake. The flowers are made with petal paste using large blossom cutters and finished with a sugar paste button made using my button mould. If your skill is not piping, then keep it simple as I have. I did get a little carried away with the pearlised cake decorating spray. Following the success of the Sweetie Birthday Cake back in July I made another for a family friends birthday. The cake hidden under all those sweeties is a chocolate cake with chocolate buttercream and damson jelly, topped with Haribo sweets and chocolate fingers. Those are both fabulous cakes :) the kiddy one is making me want gummy bears! 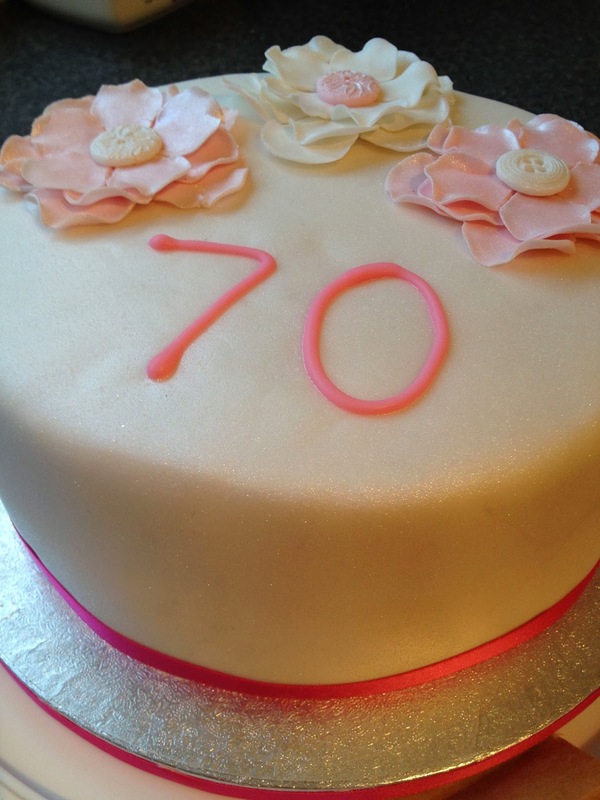 Thanks so much for linking to Celebration Cakes And Bakes. 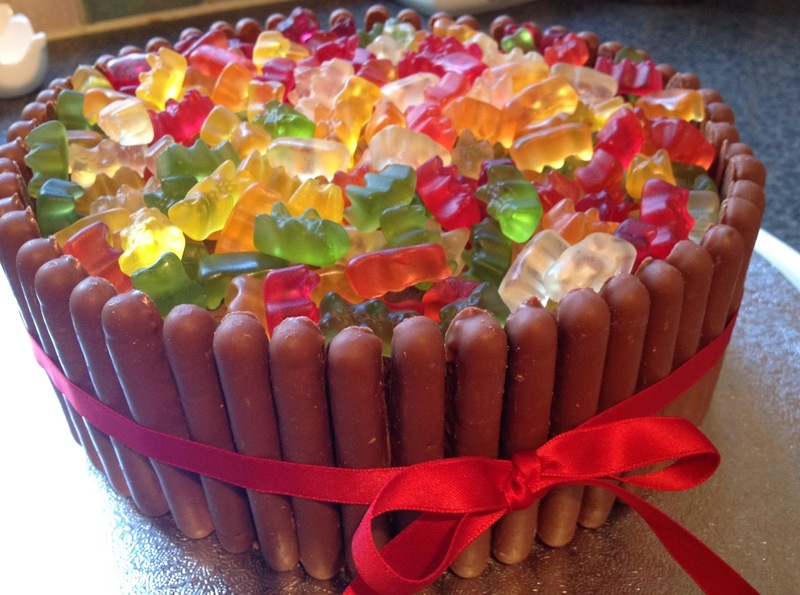 That Haribo cake is amazing, I'd love to be able to have a slice of that! If you ever need Haribo sweets to fill in the middle of another cake, you can come to us!